Article Highlight: What Are the Softest Types of Bed Sheets? There are many fabric choices for bed sheets that are available in a wide variety of patterns and colors. The right set of bed sheets can help you to complete an overall bedroom design. Bed sheets can turn a simple comforter into an elegant bedding ensemble. Most comforter sets also have additional components that you can purchase separately, such as matching bed sheets, decorative pillows, draperies, and valances. Many times the bed sheets are included in a bedding ensemble. You aren't restricted to using only the sheets that match your comforter set. You may opt for a bolder design statement by selecting a rich color trimmed with a silver, gold or white piping, or perhaps you prefer the look of crisp white linens. You may decide you like sheets trimmed in lace or embroidery. If you like the retro look, then try one of the many large stylized floral patterns. Whatever your style, you can be certain you'll find the perfect bed sheet set for your bed. Have you ever purchased a high thread count set of linens only to be disappointed that the material isn't soft but instead is stiff? In this section, you'll find informative articles on thread count and can even watch a slideshow on this topic. 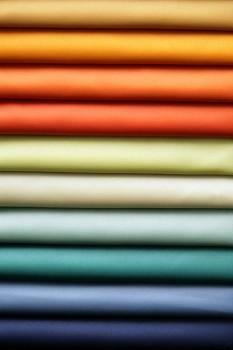 The three most popular choices of bed sheet fabrics are silk, satin and cotton. You can read articles on each of these materials to help you decide which one is best for you. Discover the latest trends and explore bamboo sheets or learn about organic cotton sheets. Colors and patterns can transform a bedroom into a beautiful design. If funky is more your style, you can find vibrant sheets with bold designs. If the Victorian era style better fits your decorating goals, then you may prefer a small rosebud pattern or a simple solid colored sheet set with lace trim. Gone are the days of simple, functional, white bed sheets. In the modern world of bed linens, you have the largest choices of fabric, color, design, and style ever available to consumers. Let LoveToKnow articles assist you in exploring all of your bed sheet options before making your next purchase.